Is this course right for you? Growth in virtually any endeavor comes from an understanding of the task at hand, the more understanding the faster and more efficient the growth. We developed this course to enhance every skill level concealed carry permit holder. Each scorable task is short and very to the point. Each standard from a time perspective is very tight, just like real life deadly force encounters. The accuracy standard each student is held to, is equally tight, again just like the standard we should expect of ourselves in a deadly force encounter. Class size is purposefully kept small in order to maximize learning potential. This is a standards based course and not everyone will be able to pass the very exacting standards. The standards are very tight, they are realistic, but they are not forgiving of mistakes or a lack of attention to detail. We will use techniques designed to help each student learn and grow as quickly as possible, but the standards won’t be compromised. 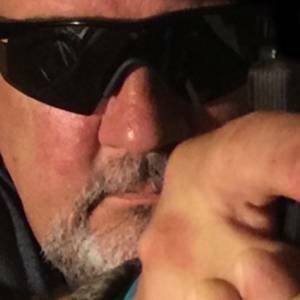 If you would truly like to challenge yourself with one of the most difficult yet achievable pistol qualifications that has ever existed, you will set yourself apart from most other concealed carry permit holders who are happy to have met the minimum standard. Of the 100, which are you? In 1998, when a team of personnel from the Joint Special Operations Command (JSOC) visited the Federal Air Marshal training facility to evaluate its shooting program, their assessment was that FAMs were among the top 1% of shooters in the world! It would be easy to argue that a portion of a Federal Air Marshall’s job is to be as efficient and proficient concealed carry holder as possible. 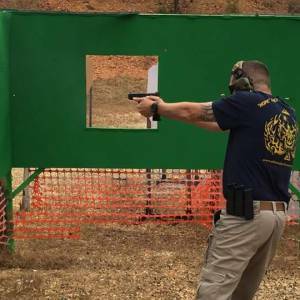 There is no doubt that passing the “Tactical Pistol Course (TPC) qualification represents a very high degree of pistol skill mastery. 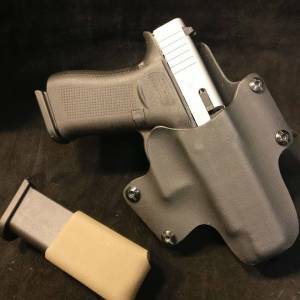 It is our firm belief that level of mastery is essential for modern concealed carry. You are your only “First Responder”! 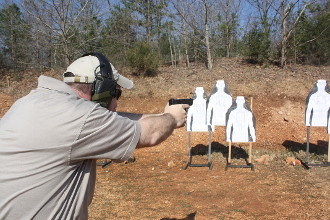 To that end we developed “Essential Concealed Carry Skills” based on the TPC qual. We very closely follow the 7 strings of fire breaking each down into a learning objective, training each skill required and then testing those learned skills in “challenge drills” that mirror the TPC standard. Specific focus is placed on exacting and efficient movement to produce the desired result. While the final qualification is very speed focused, it doesn’t sacrifice accuracy in the least. 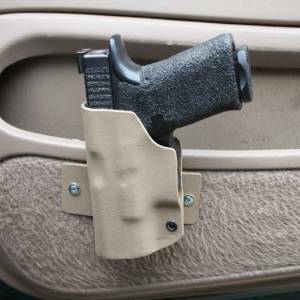 We have only slightly modified the original standard to better mirror skills we think are important for concealed carry holders. Each student will participate in a final qualification that very closely mirrors the original TPC qualification. Those that pass will be awarded the APS 1 of 100 challenge coin. By design the ECCS program is a 2 day intensive program with very little down time. In this 1 day format it will be an even faster paced event! This is not by design a “Tactics” course. It is a shooting course, designed to provide the student with base set of skills much higher than a normal concealed carry permit holder. Some amount of tactics, techniques and procedures is inevitable, but most of our focus will be building shooters through repetition. Upon completion of the Essential Concealed Carry Skills course, the student will successfully qualify by passing the modified TPC qualification with a 90% or higher. Each student will also be challenged in a series of “Challenge Drills” designed to allow the student to demonstrate mastery of specific skills. Performance in the “Challenge Drills” does not have any bearing on the culminating qualification. Students will leave the course with knowledge of the specific areas they need to focus their training efforts to further enhance their skills. This is one of our “Standards” based programs and while some students might not achieve earn a passing grade on the qualification, everyone will know what specific areas they need improvement and each will have a detailed after action review to use in practice to fine tune problem areas. Demonstrate knowledge and application of safe weapons handling skills. Perform ready positions training exercises. Perform multiple threat training exercises. None. This is course designed to provide the student base with a thorough understanding of the advanced application of a basic set of skills. Everyone, regardless of skill level will be challenged! Entire class will utilize the Peacekeepers Training range facility near Bolivar, Missouri.